Holly-Ann graduated from Liverpool John Moores University in 2008 and was called to the Bar in 2009 by Lincoln’s Inn. Holly-Ann has significant experience with road traffic accidents and personal injury claims including LVI, credit hire, fraudulent claims, occupier’s liability, employer’s liability and highways claims. Holly-Ann frequently advises and represents both Claimants and Defendants in interim hearings, applications and trials across all tracks. Holly-Ann has delivered seminars in a number of areas of personal injury law and is happy to do so upon request. As well as undertaking advocacy at hearing and trials, Holly-Ann is regularly instructed to draft pleadings, schedules, and advises in respect of both liability and quantum and she aims to return instructions within 7 days. 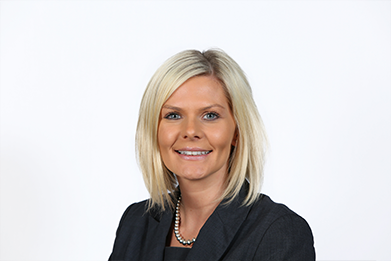 In addition to her personal injury practice Holly-Ann is also experienced in clinical negligence matters and regularly advises and drafts pleadings. She is also a member of Chambers’ cost team and attends hearings and drafts replies to points of dispute. Holly-Ann is happy to advise clients in conference at all stages of proceedings. Prior to joining Chambers Holly-Ann was a legal assistant to a leading personal injury QC specialising in brain injury and spinal cord injury. During this time she was heavily involved in the notable case Noble v Owens  EWHC 534 (QB). Outside of Chambers Holly-Ann enjoys all things fitness, golf and clay pigeon shooting. A decision of the Designated Civil Judge for Leeds and Bradford concerning the procedure to be adopted in conducting 44.16 applications where the case had discontinued.